So, I have the greatest job ever! 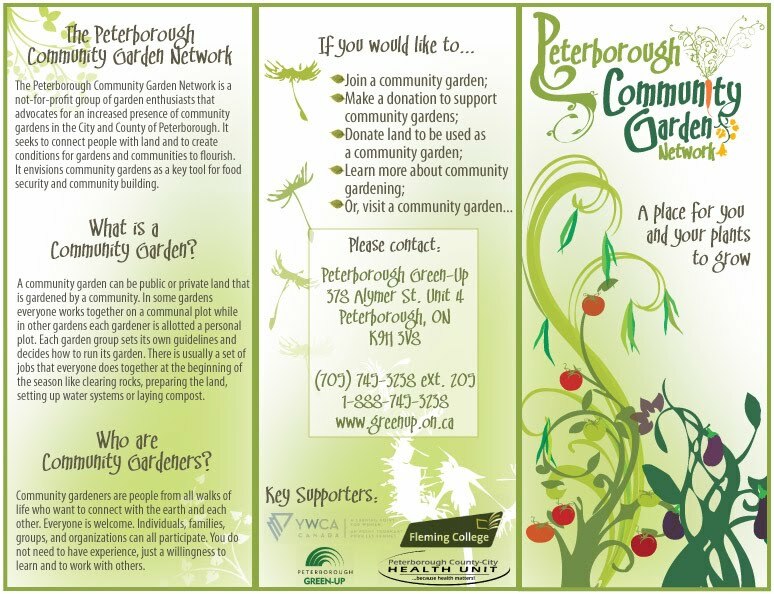 Working with the Peterborough Community Garden Network, we are working to support existing community gardens & increase the number of community gardens in the City & County. 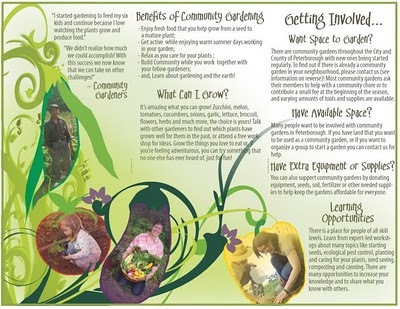 We also promote gardening through educational workshops and events and work in conjunction with the City to enact strong community garden policies. 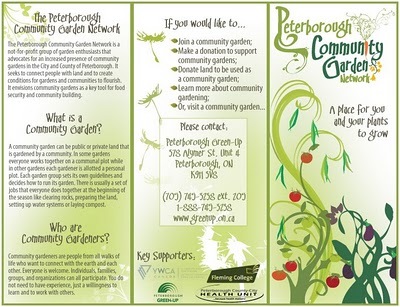 To do this we need as many community members partners & organizations involved as possible. If you are interested in getting involved, looking for a plot in a community garden, know of a great place to get a garden started, or have any suggestions or questions – contact us!